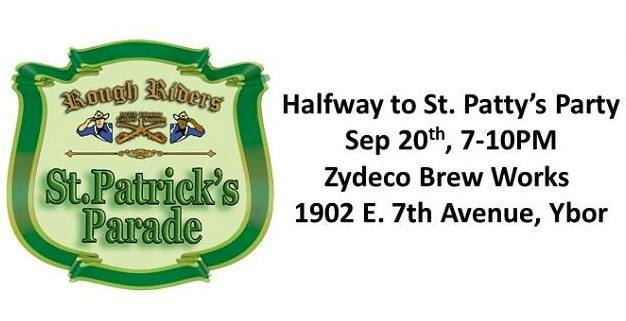 The Rough Rider St. Patrick’s Parade Committee is holding a “HALFWAY TO ST. PATTY’S DAY SOCIAL”. Thursday September 20, 2018 from 7 P.M. – 10 P.M, at Zydeco Brew Works, 1902 E. 7th Avenue, Tampa, Florida. Featuring: Raffle to win a free entry and placement in the parade will be sold. Two extra free spot placements will be drawn. Music, food specials and more! Click here to RSVP and more information.